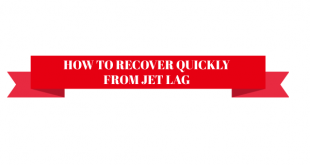 You now know some tips on how to make sure your flight doesn’t make you sick and how to sleep on a plane. Unfortunately, there is another concern for air travellers that can be life threatening. Swollen and puffy feet are a common problem amongst air travellers. Though uncomfortable, the condition is usually harmless. Deep vein thrombosis, on the other hand, is much more serious. Deep Vein Thrombosis (DVT) can occur when the blood coagulates to form a clot in the lower leg. Sometimes a blood clot can travel through the bloodstream. The consequences can be dire if it travels to your lungs, heart or brain. National Blood Clot Alliance (NBCA) research shows that too many lives are lost because of blood clots. In fact, in the United States, an average of one person dies from blood clot complications every six minutes. Blood clots claim more lives than AIDS, breast cancer and motor vehicle accidents combined! And because public awareness is so low, fewer than one in four people have any knowledge of blood clots or signs of their symptoms. Trips longer than four hours by plane, car, bus or train are categorised as having a moderate risk factor for developing Deep Vein Thrombosis (DVT) (blood clot in the leg) or Pulmonary Embolism (PE) (blood clot in the lung). According to the New Zealand Air Traveller’ Thrombosis Study (NZATT) by the Medical Research Institute of New Zealand (MRINZ), 1% of longdistance air travellers develop blood clots. They are usually painless, but some clots can cause pain and swelling. Remember, it can be fatal if a clot breaks off and reaches the lungs, brain or heart. This NZATT study discovered that 10% of patients admitted to New Zealand hospitals with a DVT or PE had recently travelled by air. This is considerably higher than reported in previous studies and could be related, in part, to our geographic isolation. 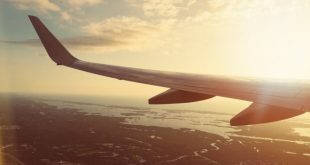 These findings add weight to the evidence that air travellers’ thrombosis is a significant public health problem, particularly in New Zealand and Australia. Cabin pressure—although aircraft cabins are pressurised, the air pressure at cruising altitude is equivalent to the outside air pressure at 1,800–2,400m (6,000–8,000ft) above sea level. The cabin’s low air pressure can slow your blood circulation and cause blood and fluid to pool in your lower legs and feet, leading to swelling. Lack of movement—sitting in the same position for long periods of time can cause blood and fluid to pool in your lower legs and feet. If you don’t move around and stretch regularly the blood and fluid can cause swelling in the lower legs and feet. Low humidity—the air inside the cabin of a plane is extremely dry with a humidity level of less than 20%; the average comfortable humidity level for humans is 40–70%! This makes us more susceptible to dehydration. Travel light—keep your on-board essentials in a small bag stored in your seat back pocket and stow the rest of your carry-on luggage in the overhead lockers. This will provide plenty of room to stretch your feet and legs. 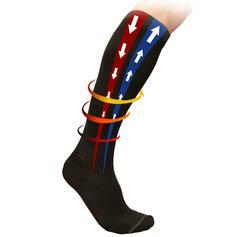 Wear graduated compression socks—the graduated pressure (highest at the ankles and lowest at the knees) helps prevent blood pooling in your calves and stimulates blood circulation. Stay hydrated—water is your friend! Avoid dehydrating drinks like caffeine and alcohol, and try herbal tea instead. Try to avoid salty food, like nuts and potato chips as they will dehydrate you! Learning how to recognise DVT can save your life. If you experience any of these symptoms, either during your flight or after you arrive at your destination, seek medical assistance immediately. Like many other baby boomers, I have discovered that inevitably, with age, aches and pains become more frequent and injuries take longer to recover from. I discovered that TXG graduated compression socks could help me to reclaim my active lifestyle by preventing injury and aiding recovery and also help protect against swelling and potentially life threatening Deep Vein Thrombosis when travelling. After shopping around, I found that high quality graduated compression socks that are also affordable weren’t readily available in New Zealand. So, I decided to make TXG compression socks more accessible to other kiwis and to provide the kind of personalised customer service that I would like to receive myself. At TXG we help you, take care of you.